Ask The Chicken Doctor.com, LLC. 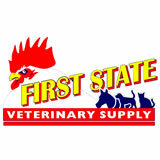 Provides diagnostic health services for poultry owners. We are also able to provide Veterinary Review Services that could provide a prescription for regulated medication for poultry use only. Ask The Chicken Doctor, LLC. Copyright © 2019 ~ Ask The Chicken Doctor, LLC.